At the beginning of February, I decided that I wanted to challenge myself even more. I decide that I'll start doing one challenge a month and sew/make something new outside of what I'm already working on in my sewing class. 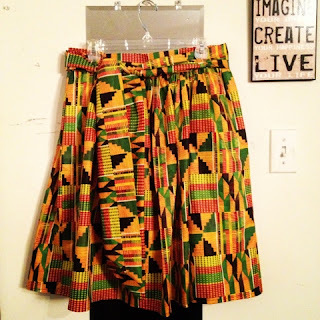 While trying to figure out what to make, I came across a Maxi Skirt tutorial that stood out to me, so I decided that it would be my "February Challenge". I used this Ghanaian Fabric called Kente I saw at Joann Fabric. 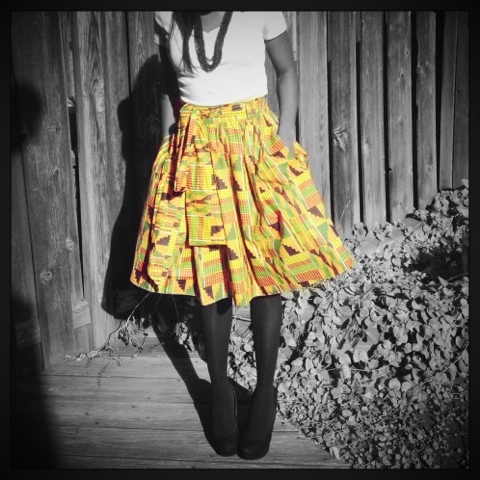 I knew it would be perfect for the skirt and different. 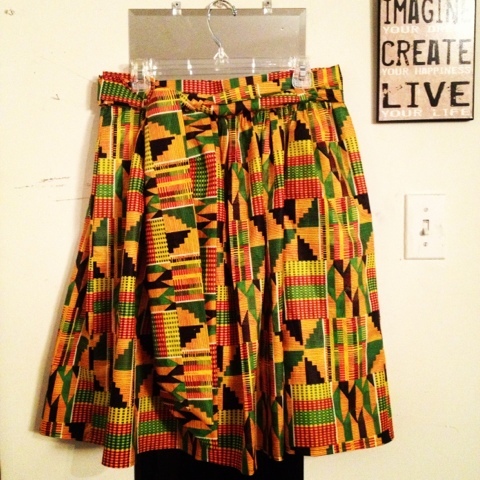 Instead of making the maxi skirt, I decide to make the skirt knee length. Loved it!!! I wore it to church and was so exited to show it off. A week later, my mom wanted me to make her one with the same fabric. 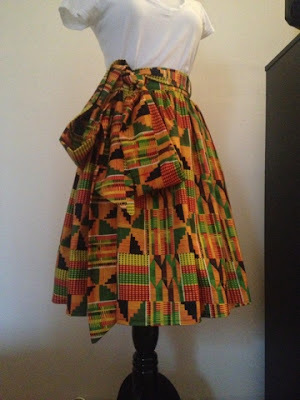 yetunde,can u pls send me atutorial for mimi g's regal maxi skirt? You would have to purchase it from Mimi's site..